His Highness the Amir Sheikh Tamim bin Hamad al-Thani met with the Prime Minister of Albania Edi Rama and the delegation accompanying him at the Amiri Diwan on Tuesday. 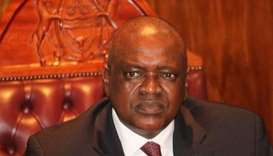 Botswana President Dr Mokgweetsi Masisi arrived in Doha on Sunday on an official visit to Qatar. His Highness the Amir Sheikh Tamim bin Hamad al-Thani chaired the first meeting of the Board of Directors of the Supreme Committee for Delivery and Legacy (SC) of 2019 at the Amiri Diwan on Sunday. His Highness the Amir Sheikh Tamim bin Hamad al-Thani met on Thursday at the Amiri Diwan Inter-Parliamentary Union president Gabriela Cuevas Barron. His Highness the Amir Sheikh Tamim bin Hamad al-Thani and Bulgarian President Rumen Radev held official talks at the Amiri Diwan on Thursday. 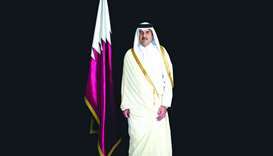 His Highness the Amir Sheikh Tamim bin Hamad al-Thani received a verbal message from King Mohamed VI of Morocco, pertaining to bilateral ties and the means to enhance them. His Highness the Amir Sheikh Tamim bin Hamad al-Thani met at the Amiri Diwan office on Wednesday with the visiting Lord Mayor of the City of London Peter Estlin and his accompanying delegation.